See Western Australia year to date financial results here. For more information on the Local Buying Program in Western Australia please contact your local C-Res Business Engagement Advisor, Georgie McInerney, via email georgie.mcinerney@c-res.com.au or visit our website. It is with great pleasure that we announce Georgie McInerney has joined the C-Res team as our Business Engagement Advisor, assisting with the delivery of the Local Buying Program in WA. This key role will continue to provide valuable support to local businesses and site personnel with all matters relating to new business registrations, supporting existing registered businesses and assisting BHP employees with supplier and Program enquiries. Georgie will be working part time, primarily within the Newman area. As a Newman local, she brings with her a wealth of experience working with the community and also an understanding of local businesses in the Pilbara region. Image: Georgie McInerney (Business Engagement Advisor, C-Res). Local businesses in the Pilbara have directly benefited from more the $5 million in approved spend during the first 12 months of operations for the Local Buying Program in Western Australia. Since the Program was launched in October 2017, over 200 small local businesses have successfully registered to supply goods and services to BHP’s WAIO operations and now enjoy greater visibility of the work opportunities raised on sites. Over 150 work opportunities have been created in this short time, resulting in $5 million in approved spend for businesses in Port Hedland, the Shire of East Pilbara and the Shire of Ashburton. C-Res CEO, Tracey Cuttriss-Smith and C-Res Directors, Darryl Camilleri, Kylie Porter and Melissa Westcott, recently visited C-Res staff in Port Hedland and joined BHP to celebrate the first anniversary of the Local Buying Program commencing in WA. They all thoroughly enjoyed the opportunity to explore the Hedland harbour and township, and were pleased with the strategic outcomes and planning completed during engagements with key BHP management and stakeholders. The celebration event was held at The Web Business Hub, the ‘new heart of business in the East Pilbara’ which offers targeted support to promote growth and diversification of the local business region. This new vibrant and progressive space provided the perfect venue for the LBP’s celebration event, and was by all accounts a very enjoyable evening. Guest speakers included Kylie Porter (C-Res Chairman) and Phil Jefferys (Head of Community, Strategy and Planning, BHP Min Aus Supply). Suppliers also presented testimonials on the impact the Program is making on their businesses and the positive outlook generated from further assistance being provided by the Program. 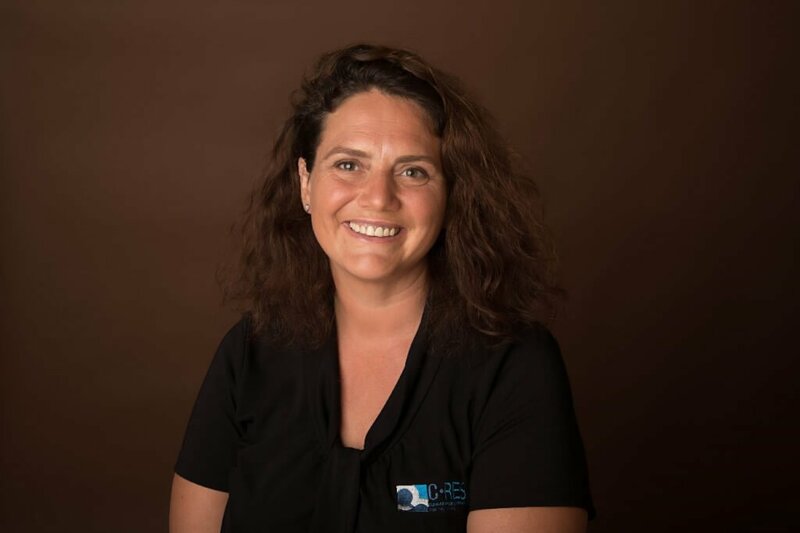 Tracey Cuttriss-Smith mentioned “The entire C-Res team are very proud of the Program’s accomplishments in Western Australia, and the contributions being made to support our local communities here. Building business capability and prioritising the promotion of the local economy will remain focal points as we look forward to seeing the Program expand and deliver more opportunities to our local suppliers”. BHP Western Australian Iron Ore Manager Community, Chris Cottier, said “We recognise that BHP plays a really important role in helping to support local businesses in the Pilbara and the Local Buying Program enables us to connect with small businesses more easily and efficiently than ever before. 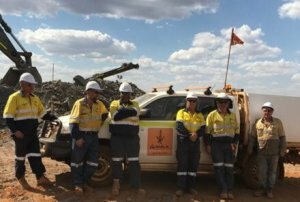 While still in early days, the Program is proving to be successful and we are looking forward to seeing it continue to expand and deliver benefits across the Pilbara over the years to come”. Image: Gumala Contracting Team on Site at BHP Yandi. Stretching over a five month period, this large project saw a number of BHP departments collaborate to ensure it can be delivered safely and result in a positive outcome for all parties involved. With the assistance of the BHP Community Team and C-Res, WAIO Asset Projects team awarded the project to local Indigenous contractor, Gumala Contracting. The project has led to Gumala Contracting employing an extra 20 operators while also developing the companies HSE experience and capability in BHP HSE Systems. Image: Shelley Comtesse (BHP), Phil Jefferys (BHP), Kristy Marks (BHP), Danielle Van Kampen (BHP), Kylie Porter (C-Res), Darryl Camilleri (C-Res), Nilson Davila (BHP), Tracey Cuttriss-Smith (CEO, C-Res) and Melissa Westcott (C-Res). 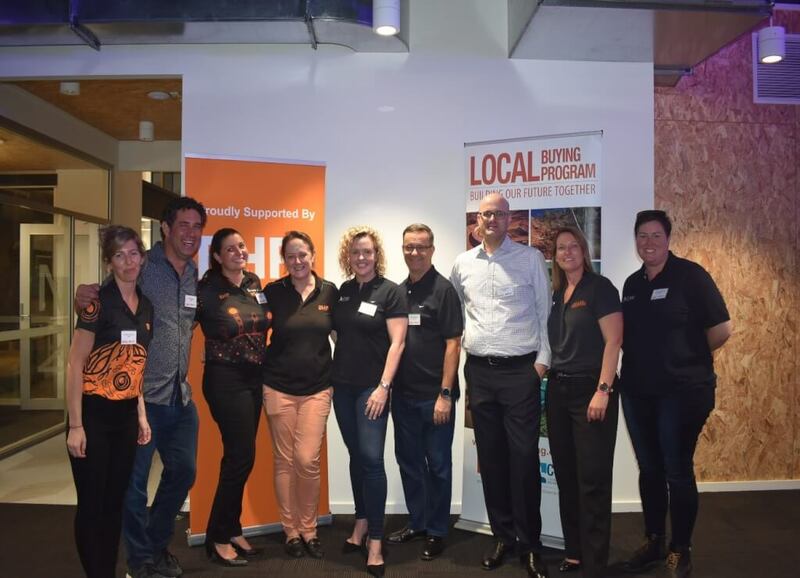 Since 2017, alongside many other local community representatives, C-Res have been proud contributors to Hedland Collective, an initiative which gathers Port Hedland business stakeholders together with State and local government representatives to launch a collective approach to delivering significant and lasting change to the town’s social fabric. With a vision to support the development of small local businesses, C-Res believes initiatives like the Hedland Collective will prove extremely valuable to the sustainability and development of regional Australia. A year on and the Collective is already delivering results and bringing together major mining company representatives and suppliers, while identifying opportunities where the resources industry can support priorities of the community. 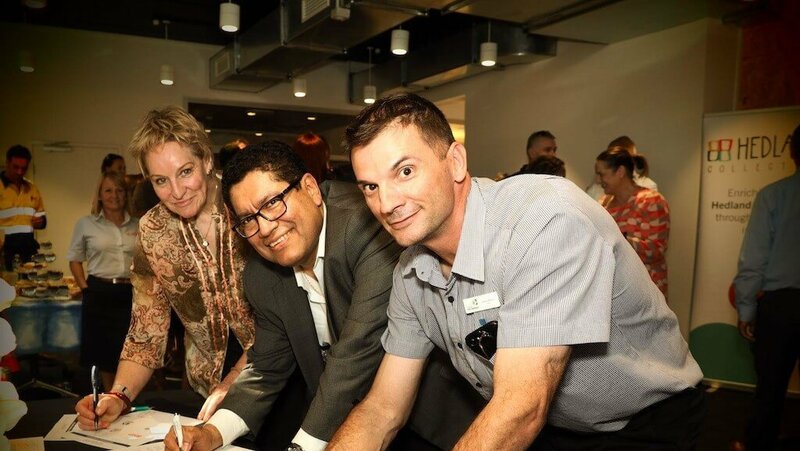 Image: Alannah MacTiernan (Minister, Western Australia), Edgar Basto (Asset President, BHP WAIO) and Camillo Blanco (Mayor ,Town of Port Hedland). Site Fleet Services invite all NCCI members to attend their Business After Hours. An opportunity to meet the Site Fleet Services team and find out what they offer and to network with other local businesses in the region.